Happy Birthday Sanndy. We had a great time celebrating your birthday with you and your friends. 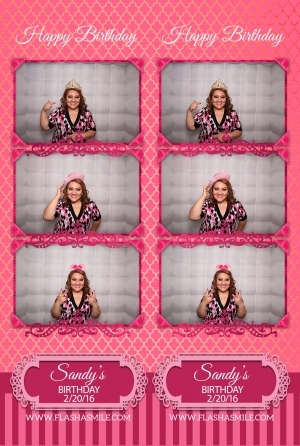 It was a pleasure taking pictures of everyone in the Photo Booth. Amazing job with the decorations Dreamm Decorations Sacramento. Awesome music by Antrix Entertainment inc. Of course Keith for vlogging and Sebastian for getting the party rocking. You can view all of the awesome pictures by clicking here. The first annual Woodland Bridal Show had a great turn out. Yvette, Andrea, and anyone else who helped put on this show, you did a great job. 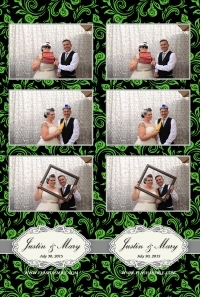 We had a great time taking Photo Booth pictures for everyone. 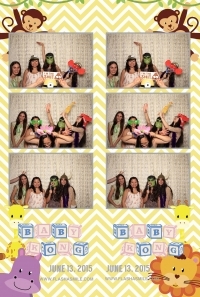 Did you miss out on our Photo Booth pictures? Remember to take advantage of our Bridal Show Special that will expire at the end of March. You can also view, share, or download the pictures for free by clicking here. See you again at the next show. We had the pleasure of taking Photo Booth pictures at this awesome costume party. There were so many great costumes, including couple costumes. Best costume was Caitlyn Jenner. Check out all of the costume by clicking here. This was a picture perfect wedding as the sunset on Justin & Mary's Wedding at Aston Lakeland Village Resort in South Lake Tahoe, CA. We had a really great time with all othe family, friends, and vendors at this wedding. I really enjoyed the speeches, they were very warming and heartfelt, there were very few dry eyes that evening. Everyone here at Flash a Smile would like to wish the both of your, Justin and Mary, many years to come and we really hope you enjoyed the special Scrapbook with all the loving messages that were left for the both of you. 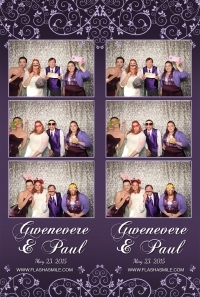 You can check out all of the fun pictures we were able to take in our Photo Booth by clicking here. The Quinceañera Expo by Quinceañera Magazine had a great turn out. We are proud to sponsor the expo. The expo had a great fashion show that had beautiful dresses by Esmeralda Bridal. 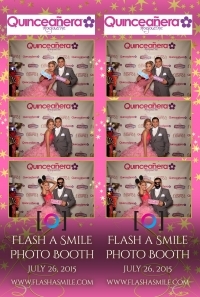 Remember Flash a Smile Photo Booth if you are planning your quince or next party. Remember to take advantage of your special expo flyer discount before it expires. 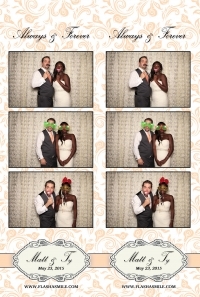 Check out all of the great photos we took in our photo booth by clicking here. 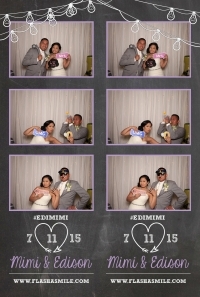 We had an #Awesome time at #EdiMimi #Wedding. 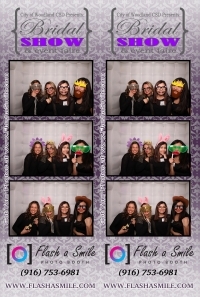 Thank you so much for inviting us to take your #PhotoBooth pictures. Totally in love with the #FoodTrucks. Thanks to #Sactomofo for catering the reception. It was so much fun. The #HutchinsonStreetSquare was the perfect location for the #Reception. We took so many wonderful pictures. You two truly make a perfect couple. All of the photos have been uploaded. 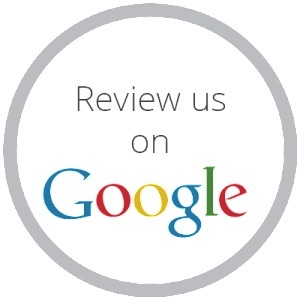 You can view, download, and share them by clicking here. Thank you everyone who braved the heat and came out to Nugget's Baby Shower. We really appreciate all the love and support from everyone. The shower was totally awesome thanks to the wonderful hosts Soraya, Azarene, Surene, and Po. We had a great time with all the food, games, and gifts. We managed to squeeze in some photo time in the photo booth. You can view, download, and share all the pictures by clicking here. 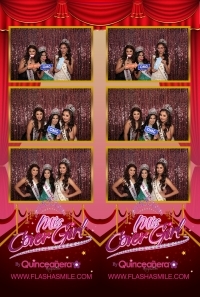 We had the pleasure to sponsor our Photo Booth at the Miss Cover Girl Pageant by Quinceañera Magazine. Thank you Sandy for inviting us to take pictures at the event. We really had a great time watching all the contestants at the pageant. We really enjoyed working with all the other vendors and contestants. The Flamingo Banquet Hall was amazingly transformed into the pageant. The dresses sparkled beautifully down the runway. 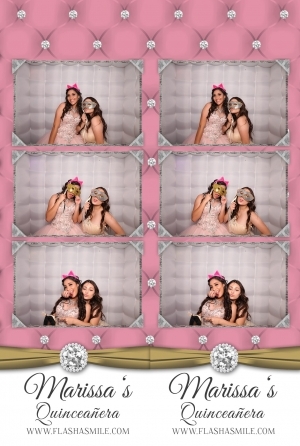 You can see all the pictures we took inside our Photo Booth by clicking here. 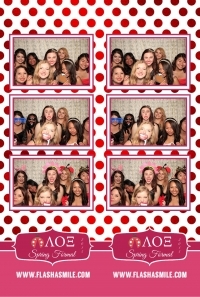 We love taking pictures with the LOXI sorority girls. 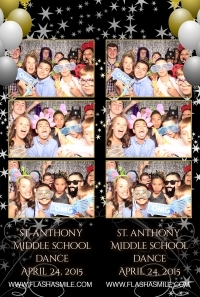 Thank you again for inviting us to take photo booth pictures at your 2015 Spring Formal. 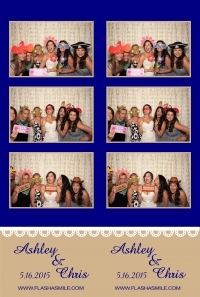 The Pavilion at Haggin Oaks golf course was a great location for your formal. Check out all of the awesome pictures by clicking here.